Pokemon Go, the finger flicking and incredibly awesome Mobile entry for our favorite monsters, is a massive success, but many fans ask “Did Nintendo make Pokemon Go?” At first, most would think ‘YES!’ since there is a strong association between Nintendo and Pokemon. Nintendo has been the sole publisher of the Pokemon games ever since they were created (I was in middle school), so why would anyone else be involved? Well we are here to break down who done it, who getting paid, and take a look into the future of Nintendo and mobile game publishing. We could just say NO (because Nintendo didn’t make it) but there is more to the story! Let’s take a ride down corporate ownership and licensing road! An entity call The Pokemon Company (creative right?). The Pokemon Company is responsible for all licensing of the Pokemon brand and merchandising of it’s intellectual property. This means they get paid every time someone makes, buys, or sells anything Pokemon related. Nintendo owns 32 percent of The Pokemon Company, Game Freak and Creature Inc own the remaining percent, assuming an even split. The Pokemon Company was created after the success of Pokemon Gold and Silver to handle merchandise requests and has was previously split into regional entities before combing into an international firm. Niantic Labs, a game develop company, created Pokemon Go. It should come as no surprise that Nintendo itself has nothing to do with the creation, design, or release of the game. Rather, Niantic is responsible for development and publishing of Pokemon Go after being authorized to create the game by The Pokemon Company. Nintendo made public comments in July 2016, telling fans (and shareholders) that their role in the development of Pokemon Go is limited to oversight of the Pokemon company. Nintendo’s President, Tatsumi Kimishima, stated that it really won’t make any direct revenue from Pokemon Go – which caused a multi-billion dollar drop in the company’s valuation. Some fickle traders dumped the stock our of fear that they won’t see massive profits after the massive coverage of the new app. This was in contrast to the massive surge in value after the release of the app, when the value rose over $7 billion. Much of the raise in value is due to market sentiment and an often unsure attitude to Nintendo’s future. Overall the company has gained billions of dollars in total value, mostly due to increased demand for shares and a positive outlook for the company. Real value to Nintendo comes from the overall growth of their brand – and the revenue Pokemon Go generates for The Pokemon Company. Niantic is a mobile game development company that has received over $30 million from Google and Nintendo during the development of this game. The Pokemon Company has also invested heavily in Niantic – although the details of ownership are not public. Niantic created an Augmented reality game called Ingress in 2012 that has many similar features and game play elements as Pokemon Go. In 2015 Niantic, which was a Google internal startup, separated from Google and began developing Go. Their split from Google could have been motivated by the desire to produce this game – which will be remembered as the most influential video game of 2016. 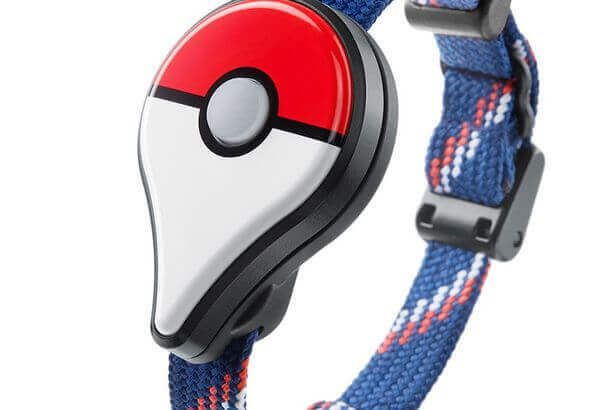 Nintendo has created the wearable Pokemon Go Plus device that works in tandem with your smartphone to let you know when you are near a Pokemon or PokeStop. They charge about $35 for these and they are becoming widely popular fashion accessories! Nintendo also has partnerships with DeNA to release Nintendo owned mobile platform games for Fire Emblem, Animal Crossing, and more. Pokemon Go has shown that Nintendo IP has the potential to take the mobile gaming world by storm; Pokemon Go has earned over $440 Million by September 2016.With a current mobile game market worth approximately $40 Billion, we can expect to see more Nintendo games coming to mobile devices. Already Nintendo has built massive hype for the (currently) iPhone exclusive “Super Mario Run”, a new adventure and game play styling to be release by Nintendo.